Summary: An inexpensive diet where you have more control over what you eat, then eDiets is the one for you. Coupon/Promotion: Get 6 Months Free If You Don't Lose The Weight You Want. 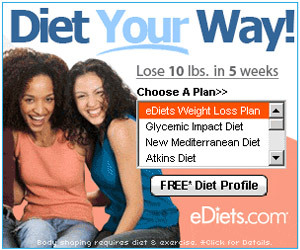 The eDiets plan is popular due to it's inexpensive diet program and ease of use. It's flexible to your needs and convenient for those who have a busy schedule. 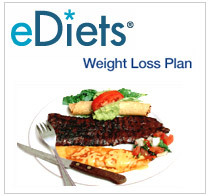 the eDiets plan is a balanced approach to eating where you get to eat 3 meals a day and 1 daily snack. People who have used eDiets like it because you get to eat familiar foods that you wouldn't think would be allowed in a diet which makes dieting fun and more familiar. Because eDiets is a diet program that teaches you a balanced way of eating, it's not a quick fix but actually a lifelong approach to eat healthy and lose weight after you're done with the eDiets program. If you want a balanced meal that includes a variety of food choices that you wouldn't consider to be diet food such as pizza and pasta, then consider eDiets.